This is the message from the movie 'Table 21',loud and clear. Don't know how many watched this movie, but some sites have written that this movie is critically acclaimed and worth watching after 'Special 26' of Akshay kumar. 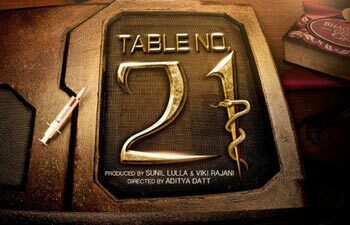 Even though i don't feel Table 21 is a great movie, i liked the message. Movie is about a couple going to Fiji on a holiday package from a lottery win/ some prize. They participate in an online live game show, which comes to their life/ death question. Game has only 2 rules - All questions to be answered with 'Yes' or 'No' and those who lie will die. Prize money is 21 fiji dollars. After each question the couple is assigned a task related to the question. They have to complete 8 such questions and tasks to get the prize money. So far, movie seems interesting, even though it is very slow paced, we will be thinking of the objective or motive of the game till the last question. We will be thinking, what Paresh Rawal wants actually from the game. At-last, from last question and task, the couple will remember their college times, how they ragged their junior mercilessly which made him mentally retarded. By the way, Paresh rawal is the father of that victim(junior). Iam fortunate, as i never faced ragging in our college and there were strict rules to avoid ragging. Ragging is more prevalent in hostels than colleges. Asking names, assigning silly tasks, making fun looks good in ragging. But, if it goes beyond some point, where physical/ sexual / verbal abuse takes place, it is not at all good. Ragging affects in many ways - death, suicide, injury, mental health etc., When some student goes to his dream college by working hard in entrance exams or paying huge sums as fee, he doesnt want to leave the college or stop going in fear of ragging. But, when it becomes too much to handle, tension arises and it effects him badly. By the way, this movie title is based on 'Article 21' which is Right to Live. The game played in the movie snatches that right from them. Hope this movie makes some impact on this generation students to avoid ragging.